Fashion/architecture love goes to New York Fashion Week! 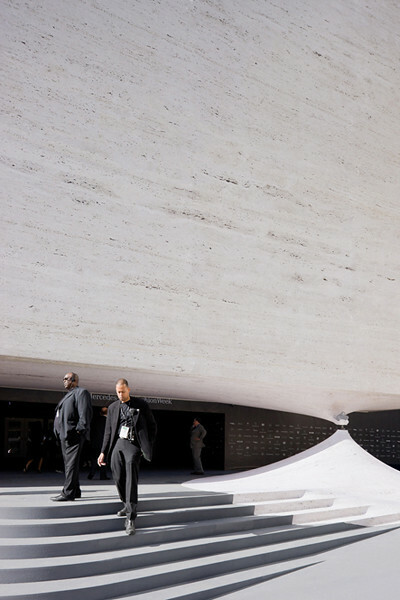 This is the first season that the shows take place at the Lincoln Center instead of Bryant Park and starchitects Diller, Scofidio + Renfro of Blur Building fame were selected to design the impressive entrance of the venue. Head over to ArchitectMagazine to read the whole article and see the rest of the amazing pictures by Iwan Baan. Oh, and sadly the installation will come down after the last shows have wrapped up, today. Boo.